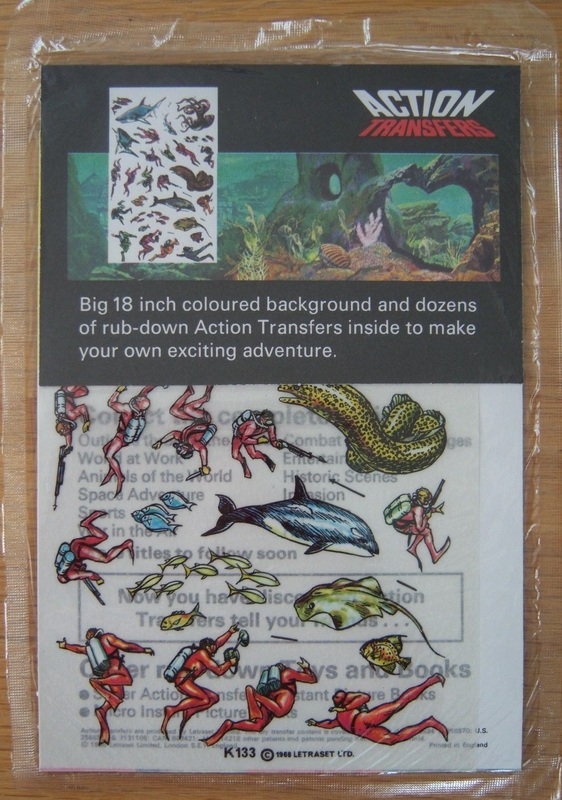 Browsing eBay recently I came across someone selling original Letraset Action Transfers and I couldn't resist buying one of them. 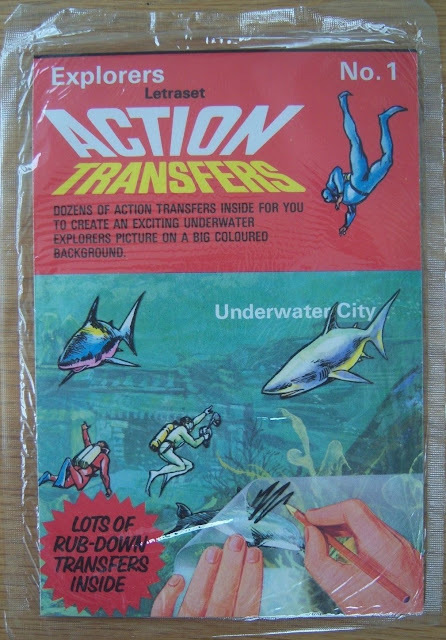 I remember buying various sets back in the day although I don't recall if I ever had Underwater City. (Click for larger images). 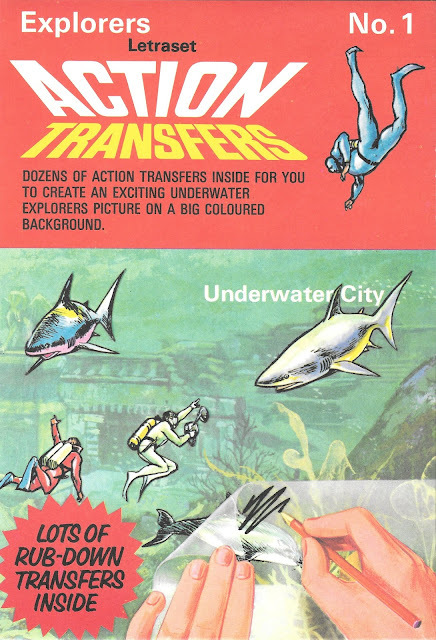 Underwater City was one of the twelve original Action Transfers sets that were launched in 1969. Earlier products had been available but this was the first time the name Action Transfers was used. 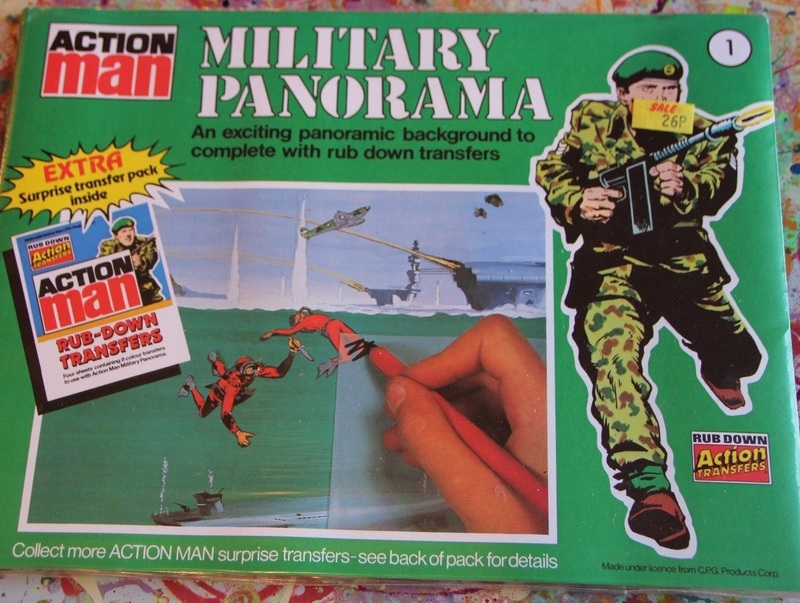 In 1965 some larger format "Panoramas" had been launched. These originally had black and white transfers but were later re-issued with colour versions. 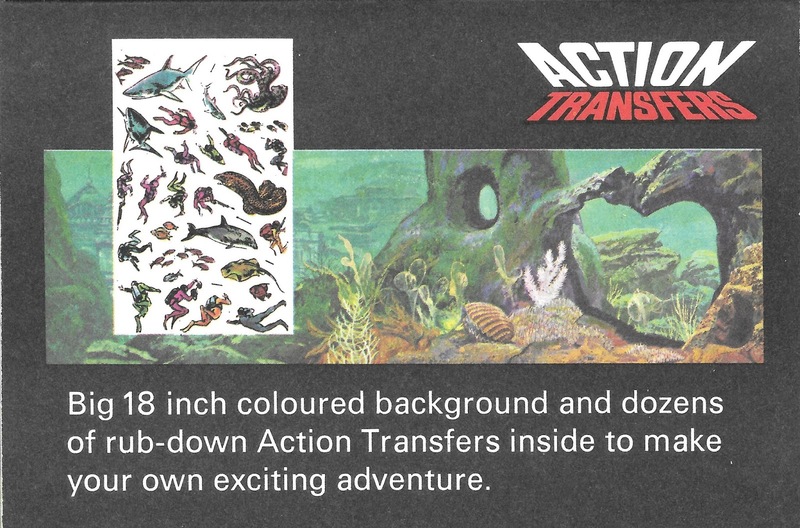 You can see more about Action Transfers here and can see the original Ocean Deep Panorama here. In 1974 a range of Mini Action Transfers were produced and included a set called Deep-Sea Exploration. 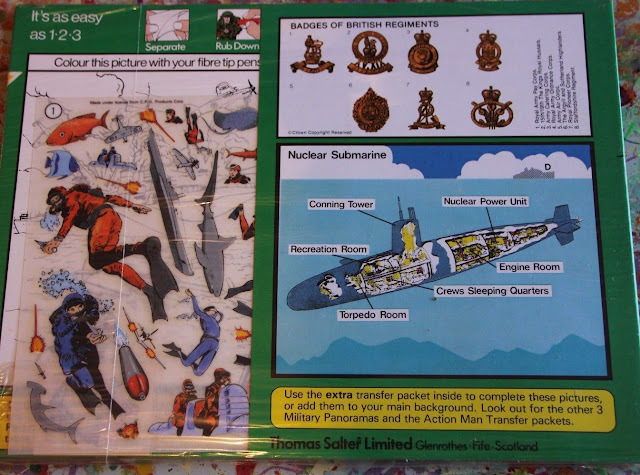 I also saw this Action Man Military Panorama set on eBay but sadly it was beyond my price-range. I haven't thought about these transfers for well over 30 years but I was immediately transported back in time after reading this post. 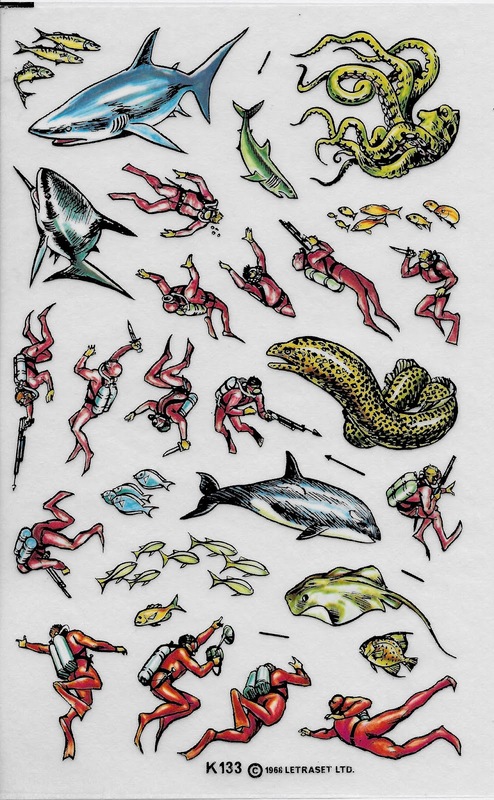 I love this blog, there's always something of interest.